Hercules Offshore has appointed John T Rynd as the company’s chief executive officer and president, succeeding Randall D Stilley, who has resigned as CEO, president and a director. Mr Rynd also has been appointed as a director. He has served as executive vice president and chief operating officer of the company since July 2007. He joined the company in September 2005, serving as senior vice president of Hercules Offshore and president of Hercules Drilling Company. Previously, Mr Rynd spent 15 years at Noble Drilling Services and worked on offshore drilling rigs for Rowan Companies for 10 years. Schlumberger has acquired Staag Imaging, a Houston-based provider of depth imaging technologies for seismic data processing. Staag will become part of the Schlumberger WesternGeco business unit. 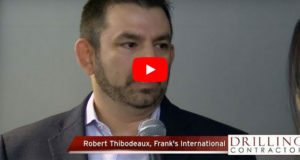 The company is one of the first providers of a commercial Full Waveform Inversion (FWI) technique, which promises to revolutionize the building of earth velocity models. Staag’s FWI is an automatic, data-driven tool that uses the two-way wave equation method to build velocity models of the subsurface, including complex geology formations such as salt bodies. 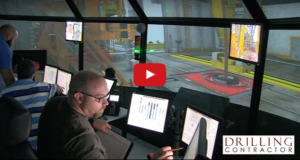 This FWI technology can automate a large part of the velocity model building workflow. The accurate models it produces can then be used to exploit the power of WesternGeco’s complementary high-resolution Reverse Time Migration capability. Enventure Global Technology announced the appointment of Greg Bailey as vice president of engineering and technology. 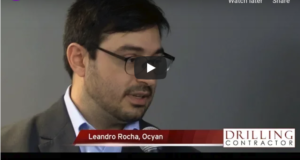 He is responsible for leading and managing the SETÂ solid expandable technology and service lines. With more than 20 years of engineering experience, Mr Bailey will lead Enventure’s engineering and research and development divisions in producing solution-based technology. Prior to joining Enventure, Mr Bailey worked for Grant Prideco, where he served as the company’s vice president of engineering in the tubular technical division. 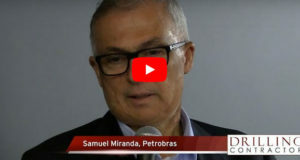 He has also served in various management capacities with Hydroil and FMC, and was president and owner of a technical services business for several years. Boots & Coots International Well Control has signed a multi-service contract with Libya’s Harouge Oil Operations Company. 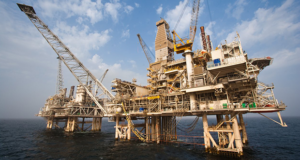 The new contract, valued at close to $15 million for a two-year period with optional one-year extensions, provides for one hydraulic workover unit and a Safeguard prevention well control specialist for Harouge’s Amal field. Rowan Companies subsidiary LeTourneau Technologies has entered into a contract to provide major components for nine new 1,500-hp land drilling rigs. The contract is with Nomac Drilling and is valued at approximately $90 million. Each of the rigs will feature AC drive technology and incorporate key LTI drilling equipment, including mud pumps and drawworks. Delivery of the rig components is expected to be completed by mid-2009. Well Control School has appointed Tom Bailey as an account manager for the Houston area. He will be responsible for consulting with clients relating to their competency-based training requirements along with presenting various options of integrated well control training programs offered by WCS. Wärtsilä-Hyundai Engine Company, a joint venture between Wärtsilä and Hyundai Heavy Industries in South Korea, has received an order for 16 Wärtsilä 50DF engines for four FPSOs to be built by Samsung Heavy Industries. The contract also includes an option of four more engines for a fifth vessel. The first engine will be delivered in February 2010. Weatherford International and Petrowell have entered into an exclusive, worldwide manufacturing and distribution arrangement aimed at bringing emerging reservoir completion technology to the market place.Under the agreement, Petrowell and Weatherford will develop innovative completion tools and systems that Weatherford will manufacture, sell and service. Core to the agreement is a shared belief in the value of reliable open-hole completion practices and the potential for radio frequency identification (RFID) to radically improve completion installation operations. Medco Energi US has appointed four new vice presidents as a part of the company’s realignment of executive positions. 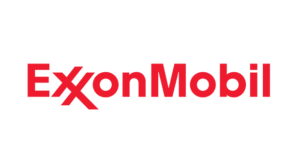 The new executives are Daniel Frugé, vice president and CFO; Steve Goff, vice president of petroleum engineering; Gary Johnson, vice president of production operations; and Ted Russell, vice president of drilling and capital projects. Medco Energi recently began a multiple well drilling and redevelopment program onshore Louisiana and acquired a large acreage position in the Ouachita thrust in southwest Texas. 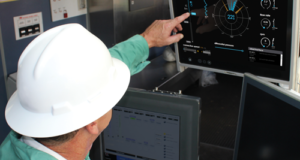 Ensign US Drilling will use TrigPoint Solution’s PROMPTT SYSTEM to track and manage assets across its drilling rig fleet and yard operations. PROMPTT uses RFID technology to automate asset tracking and preventative maintenance, to minimize human errors and to improve safety. 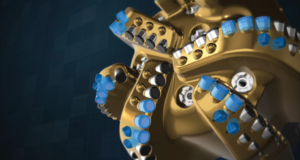 PRESENS was awarded a frame agreement with FMC Technologies to supply pressure and temperature transmitters to their subsea production trees. The contract is estimated to be worth between NOK100-125 million over five years, with deliveries beginning in Q3 2008. 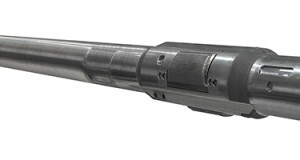 PRESENS released its new subsea pressure and temperature transmitter, the ASTERIX, at the 2008 Offshore Technology Conference. The ASTERIX subsea production tree pT/TT transmitter has a FS pressure range of 0 to 1380 bar, a total accuracy better than ±0.025%FS and one-year drift better than ±0.02%FS. The construction is extremely robust and resistant to shock and vibration. However, the most striking features are the transmitter’s size and weight. The ASTERIX has a total weight of approximately 6.5 kilos, which is a 70% reduction compared with other current solutions on the market. 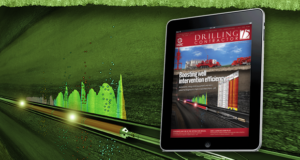 Weatherford International has acquired International Logging Inc (ILI), a provider of surface logging, or “mud logging,” and of formation evaluation and drilling-related services at the well site. 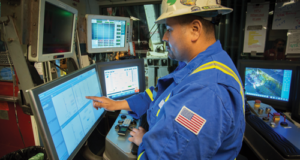 ILI’s technologies are designed to improve operational efficiency by supplying more reliable and more accurate geological and drilling engineering information at the well site in order to enhance formation evaluation and reduce operating time and risk. The iFinder Density Imaging Service, which produces borehole images of bulk density, photoelectric index and ultrasonic standoff, has been successfully tested and commercially deployed. The primary measurement of the iFinder Service is bulk density imaging. Bulk density images are a graphical representation of the variation of bulk density around the circumference of the borehole. Imaging of this measurement is possible due to the collimated source and detectors of the density tool, which focus the density measurement on the formation directly in front of the sensor. As the tool rotates, data is collected around the entire circumference of the borehole. PathFinder Energy Services’ bulk density measurement uses a patented stand-off weighting technique to select a sub-set of the rotating data with minimum stand-off. Similarly, its imaging algorithm employs a weighting technique to focus the density measurement on discrete azimuths, or sectors, around the borehole. Since the algorithm does not “bin” data, there is no technical limit to the number of azimuths that can be imaged; however, the practical limit derived from the azimuthal resolution of the detectors is 32 sectors for memory images, while images of up to 16 sectors can be transmitted up-hole in realtime. Density images are mainly used for geosteering because of the ability to determine the direction from which a particular bed is entered or exited. 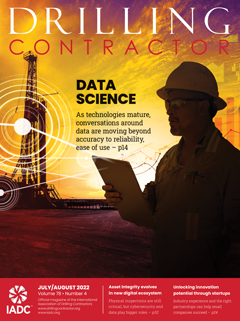 Halliburton is offering WellLife III cementing service, a comprehensive solution to increase the economic life of wells. The solution incorporates three synergistic components: 1. Diagnostics tools that provide the ability to analyze specific wellbore conditions and operational activities that exert stresses on the cement sheath; 2. Cement systems engineered with resilient components to withstand stress and endowed with the ability to react and respond to both predictable and unpredictable wellbore conditions. The latest of these systems is LifeCem cement; 3. 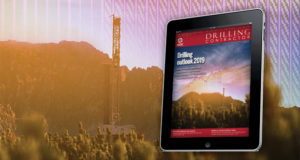 Zonal isolation assurance tool, based on Halliburton’s proprietary Swell Technology materials, provide a resilient mechanical barrier at strategic points in the annulus. The service is an interventionless react-and-respond solution designed to help address the industrywide challenge of the loss of zonal isolation due to changes in the wellbore that can stress the cement sheath and lead to destabilization at any point during the life of the well. Veristic Technologies’ Rig Walker allows a drilling rig to be moved laterally easily and in a safe manner. 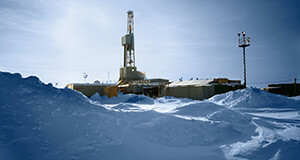 Often rigs are disassembled, transported and re-assembled on an adjacent well. The Rig Walker eliminates the time-consuming process of rig-down. It uses hydraulics to lift and transverse the entire rig with control, stability and precision to its new drilling location safely. 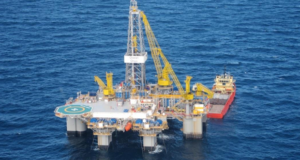 Key features include: 2.4 million-lb lift capacity provides ability to not only skid the rig but also transport full stands of setback; skids 10 ft in 15 minutes; no rig-down means less wear on the structure, less time to relocate the rig and more time spent drilling. The International Powered Access Federation (IPAF) has released a video that shows the dangers of not wearing a full body harness on a boom type access platform. It features a live demonstration in which a crash dummy fitted to a specially modified Skyjack boom shows the effects of driving over a low-lying obstacle. For safety reasons, the crash dummy is suspended at the top of the basket. The dummy is not wearing a harness, in order to show the consequences of the catapult and jolting effects when the boom goes over an obstacle. 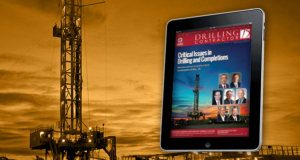 The video can be viewed and downloaded at the Publications/Film section of www.ipaf.org or on www.drillingcontractor.org.